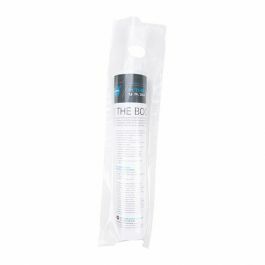 The DK6 offers the highest clarity of our hanging door knob bags, ideal for a half-fold 8 1/2" x 11" or a tri-fold 11" x 17" flyer. 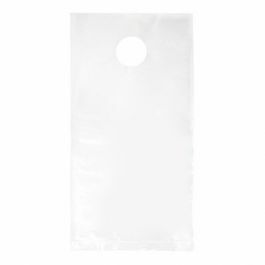 These 1.2 mil bags have a usable space of 6 1/2" x 12 3/8" and come bundled on a cardboard header for easy filling. 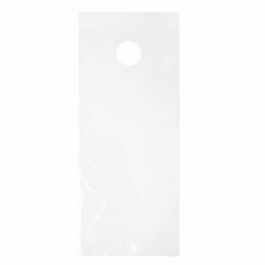 Our DK6 bag offers our highest clarity of all our door knob hanging bags. 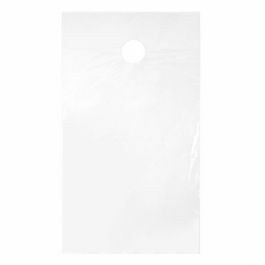 Made from 1.2 mil BOPP material, this bag won't easily tear or stretch. It measures 6 1/8" x 12 3/8" and is ideal or a half-fold 8 1/2" x 11" or a tri-fold 11" x 17" flyer. 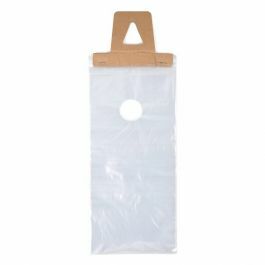 These bags come with a cut-out hole and are bundled with a hanging tab for easy filling. 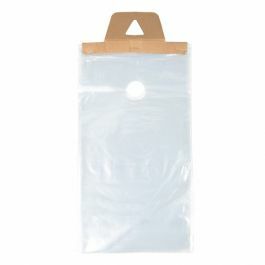 Works well as a business swag bag and keeps your promotional items in easy reach of your customers. Outer Dimensions: 6 1/8" x 16 1/8"
Usable Space: 6 1/8" x 12 3/8"
Most popular use is for a half-fold 8 1/2" x 11" or a tri-fold 11" x 17" flyer.